If you ask Magnus about the whirlwind that has been the last couple of years for him, he'll tell you that the timeline is marked by very definite moments in time. With moments like the debut of his movie, 'Urban Outlaw', and the completion of his STR 02 build, there are specific dates that stand out in his mind as mile markers along the crazy road that he has traveled. Each specific date marks a special and joyous memory for Magnus, and I have a feeling that 9/24/15 will be the next string of numbers scribed in his memory. 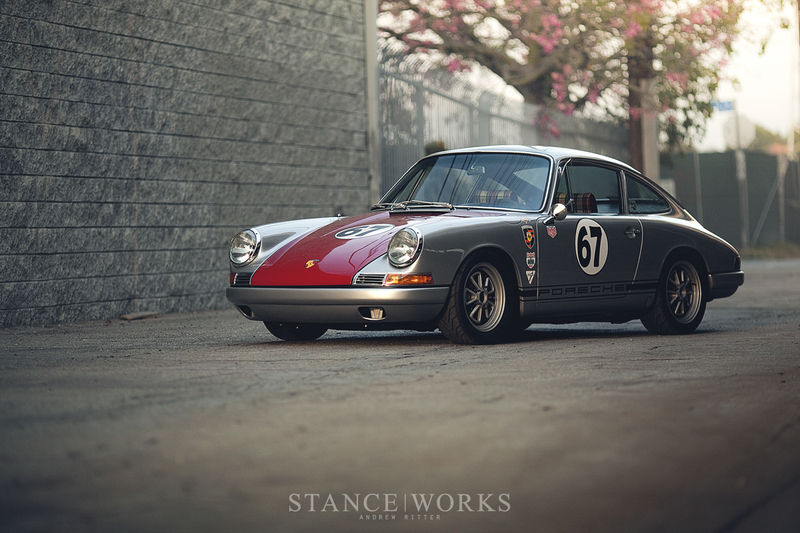 This Thursday, Magnus will be joined by over 50 Porsche enthusiasts, collectors, and tuners to unveil his collaborative project with MOMO before embarking on their 'Road to Rennsport' rally. Beyond his builds and his growing collection of aircooled Porsches stands Magnus's enthusiasm and devotion to the Porsche brand. He holds a love for driving that speaks to many of us: those who can relate to the excitement felt behind the wheels of our favorite cars. You can hear it in his voice when he tells of canyon stories and when you get to talking about the upcoming changes to whichever car is under the knife. There's a true energy there. and the bond with his cars grows with every mile that's driven. The sounds have become more familiar through each turn and the faint smell of fuel comes with a rush of memories. At the crux of this relationship between man and machine is the steering wheel. 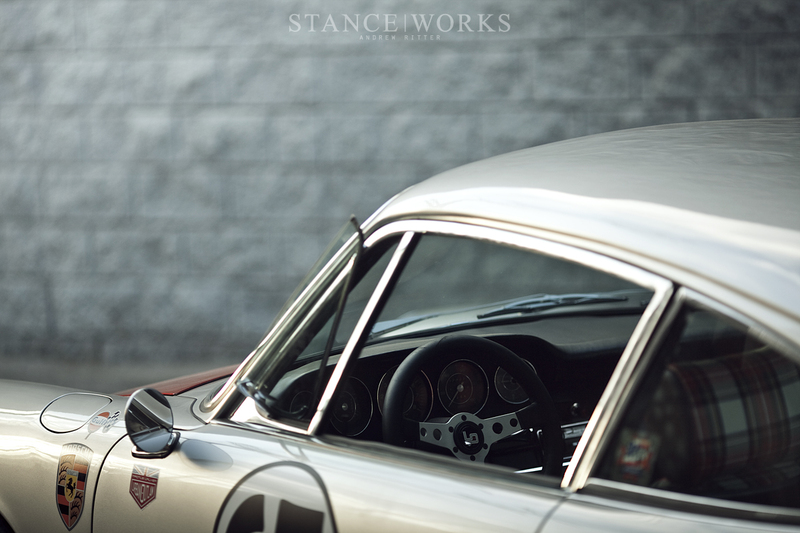 Skin touches leather as the driver's input is transferred through the column, guiding the 911 in a dance along mountain roads and the car responds, speaking to its driver through slight vibrations and tension in the steering wheel. It's at the wheel that Magnus has grown to love his Porsches so strongly so it remains an integral part in each of his builds. 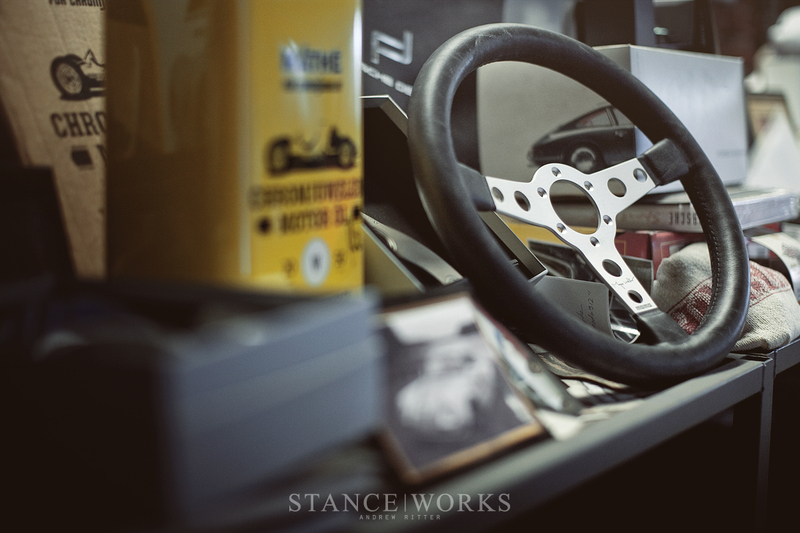 Stacks of old MOMO steering wheels sit on the shelves amidst body panels and cylinder heads, lit by the afternoon light that shines into Magnus's shop. At the helm of each of his favored cars is a MOMO wheel, tallying off canyon runs and track days with its signs of wear and tear. 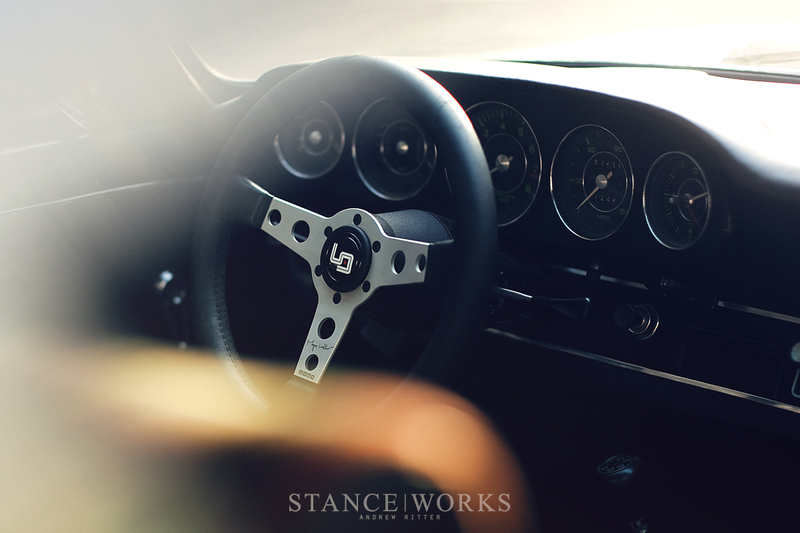 With its long history in motorsports and a collection of timeless designs in its repertoire, MOMO just seemed like the obvious choice whenever Magnus turned to the interior of his builds. The classic MOMO wheels have a soul and character entrenched in the raw, visceral racing of the 60s and 70s, the era that most influences his automotive passion. Few other wheels could fit as well as the old MOMOs did within the vintage motorsport styling that runs throughout Magnus's garage. So, when Magnus crossed paths with Henrique Cisneros, the owner of MOMO, at the Long Beach Grand Prix, the pieces finally began falling into place. It was a partnership forged long before talks began, but the two sat in Magnus's downtown warehouse discussing MOMO's history and the racing of years past. As Magnus spoke of his love for the vintage MOMOs that he had collected over the years, they began discussing the ideal 'classic wheel' and before two long a collaboration had organically grown from their shared interests. 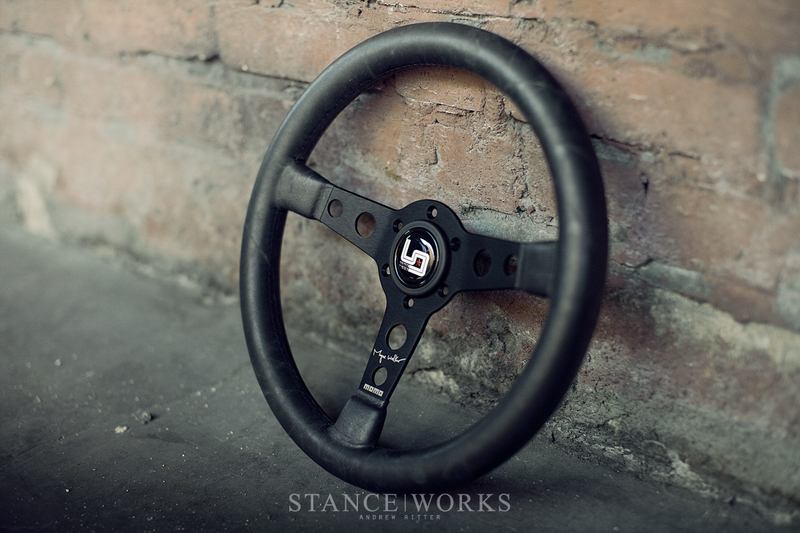 Years down the line, people may search for the elusive Magnus Walker Signature MOMO Wheel just as they hunt for the original Prototipo and Jackie Stewart wheels today. After our shoot, Magnus and I grabbed drinks down the street and discussed his wild ride so far. The man has gathered such a following after only a few short years, but when I sit down with him, it's just a simple interaction with another car guy just like myself. 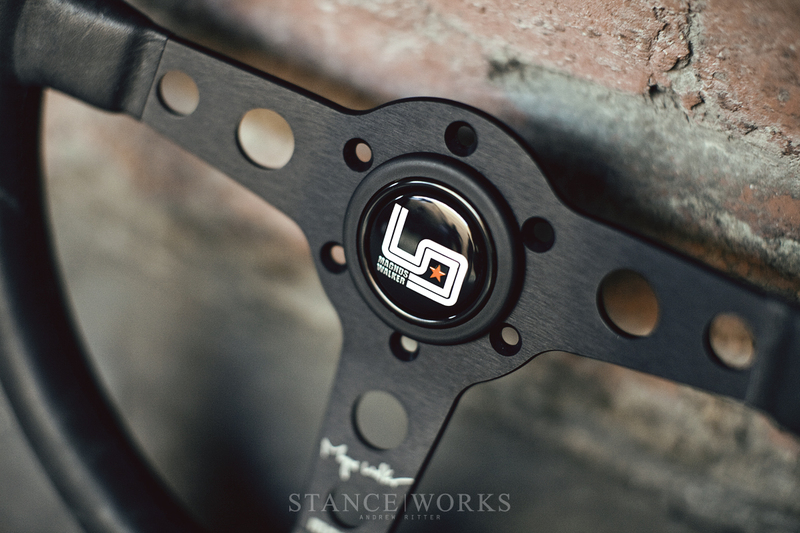 It still hasn't quite hit him that his name is scrawled across the spokes of a MOMO production wheel, but when I ask him about the magnitude of it all, it's clear that he's is incredibly humbled to join the ranks of such legends. His goal all along has been to simply share his passion with fellow enthusiasts and he has stayed his course, taking on new projects and adding to the list of dates that mark his memories. With that, Magnus will welcome a collection of Porsche enthusiasts to join him in unveiling his new signature wheel on Thursday. 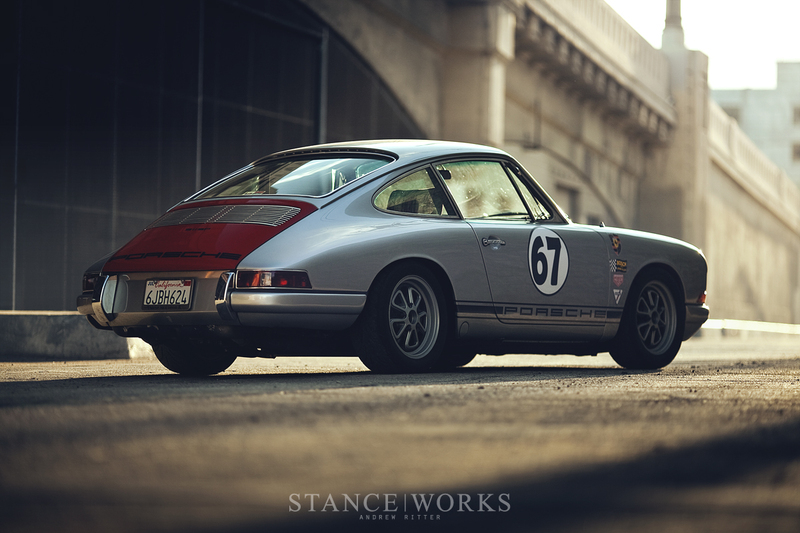 They will then continue on, making the journey from Los Angeles to Laguna Seca for the fifth Porsche Rennsport Reunion. 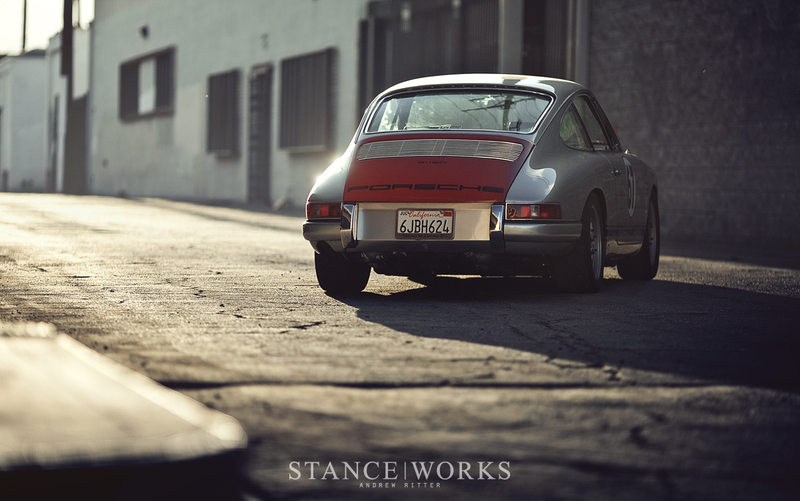 To Magnus Walker, it's all about making defining moments in time, and it's important to him that he do so with a group of people who share in his love for cars. So, it's time for us to prepare for the MOMO Road to Rennsport Rally; there are memories to be made. Where do I win one for my 635?? I can’t afford one, but really want one!!! 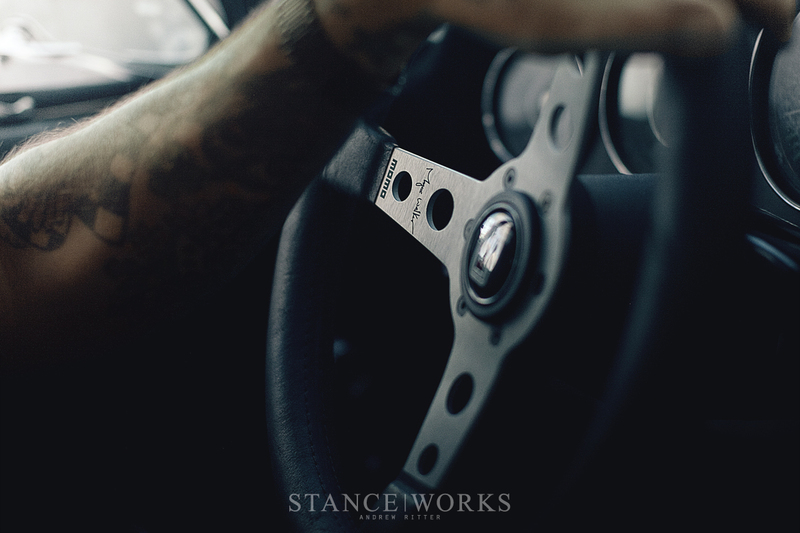 Please stanceworks please????? Can we just call this an advertisement then trying to call it an ‘article’. Like seriously. The advert worked on me! Thanks Andrew!